dhamma musings: What Does He Mean? 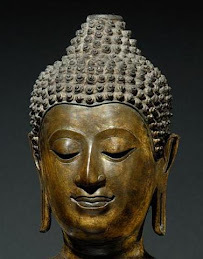 Yesterday Thinker left a comment saying that perhaps the Buddha’s Unborn, Unbecome, Unmade, Uncompounded (Ud.80) could be equated with God, that perhaps Jesus and the Buddha were talking about the same thing. Perhaps. But for this to be so we have to do is adopt what I call linguistic befuddlement. I’ll give you an example of linguistic befuddlement. “We don’t have any cats in Singapore”. “What! Why only yesterday I saw six or seven cats hanging around our wet market”. “Ah yes. But I’m not using the word ‘cat’ in the usual crude, pedantic, restricted way. 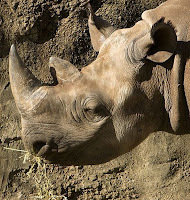 When I use the word ‘cat’ I’m referring to large grey-colored African herbivore with two horns on their nose which have a tendency to charge when threatened or angry. So, as I said before, there are no cats in Singapore”. Jesus used the word ‘God’ or ‘Father’ in a fairly precise way and it has generally been used in that same way in Christian theology ever since. God is a divine creator with three natures actively involved in the world, who has a personal relationship with believers, requires undivided devotion from them and who, if they believe in him and his Son, will save them from eternal damnation. There is nothing like this mentioned in the Buddha’s scriptures. Of course we could disregard usually understood usage and use the word god any way we want. But it seems to me that this just causes confusion. I once listened to a talk given by a monk in which he emphasized the importance of God in Buddhist practice. Later I asked him about this and he said, “Of course I’m not using ‘God’ in the usual way. I’m referring to…” and he went on to describe kamma. I said, “ ‘Of course’ would not seen to be appropriate here. I doubt that your usage of the word ‘God’ was ‘of course’ to your audience. I suspect they were thinking something quite different from what you were thinking of when you used the word ‘God’. I certainly did not understand what you were talking about”. He replied, “I’m merely using terminology that my audience is familiar and comfortable with” (It was a Western audience). I said, “But there is a perfectly good word for kamma. Try ‘Kamma’. It’s even in the Oxford Dictionary now. And if the audience is not familiar with it, give a talk explaining what it means”. It’s no surprise that the Buddha, a consummate teacher and a clear communicator, addressed this very issue. Referring to language and terminology he said, “One should not ignore local usage” (M.III,235). We could also add that we should not ignore ‘normal usage’ either. The picture is of a 'cat'. Good explanation. Yet you use the personal name - Jesus and not Christ. In similar circumstances I'd rather use the word Christ - who is exactly the hero of the New Testament. (To avoid "linguistic befuddlement" :))). I found a striking similarity (at least I thought) between 'religions' during my undergrad philosophy studies. This was the word "logos"
This word mainly came up in presocratic/greek writings and is what was later translated to "Word" in the Bible.. "the word of god". Incidentally, the writing and usage of this word is very similar to the idea of The Tao and many other ideas found in eastern 'religions'. If anything.. this really changed how I read the bible (when I read it). The big difference (and here comes a gross generalization)... in my opinion.. Christians teach that you "fix the world" by forcing others to follow The Way... while the buddhist teaches that you "fix the world" by looking inside and learning how to follow The Way yourself. I don't think Christianity itself actually teaches this... but that's the interpretation. Regardless, The Way is still the same. In pre-Socratic philosophy, the principle governing the cosmos, the source of this principle, or human reasoning about the cosmos. Among the Sophists, the topics of rational argument or the arguments themselves. In Stoicism, the active, material, rational principle of the cosmos; nous. Identified with God, it is the source of all activity and generation and is the power of reason residing in the human soul. In biblical Judaism, the word of God, which itself has creative power and is God's medium of communication with the human race. In Hellenistic Judaism, a hypostasis associated with divine wisdom. Christianity In Saint John's Gospel, especially in the prologue (1:1-14), the creative word of God, which is itself God and incarnate in Jesus. Also called Word. Nice cat! Thanks for calling this argument what it is! Befuddlement! Stuff and nonsense, that slight of hand that people use when they want to say that all roads lead to the top of the mountain but mean Our Road is really the only way to go and the rest of you are lost. Words have meanings and ideas have consequences. 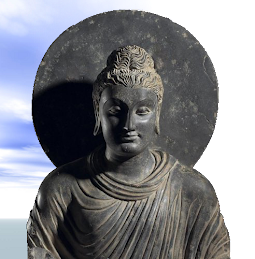 The Buddha was wonderfully careful and consistent when he taught and of course he lived perfectly consistently with the Dhamma. No befuddlement there. I don't know why people are fixated with certain things that we cannot know with 100% certainty, such as the existence of a God. It's not that issues we cannot be 100% certain about are unimportant; they are just less important compared to things we know with 100% certainty, such as the existence of dukkha. When I read or hear such discussions about the issue of the existence of God, I'm always reminded of what the Buddha said about the parable of the man wounded by an arrow and refusing treatment until he was satisfied with knowing the relatively unimportant things about the nature of the arrow that wounded him. We can go on thinking about the issue of God ad infinitum without coming to a conclusion acceptable to all. I do think it's far more fruitful to concentrate on things that most people would not disagree with, such as dukkha. Please do correct me if my views are wrong. I'm still a tiny fledgling on the path of enlightenment. DearIndeadears, I feel that the meaning of Logos is more like Dhamma than Path. It is interesting that Jesus says "I am the Path..." I hear in these words the echo of Buddha's Magga (Marga, Tao). In Thomas's Gospel there is a very interesting parallel to the core of Buddha's teaching:"This heaven will pass away, and the one above it will pass away. The dead are not alive, and the living will not die". The parallel to anicca and the real life (not an illusory one). Theologians, reflecting what the analogies, metaphors and anthropomorphism of God in the bible points to, believe that God is the only un-caused Cause, the only non-Contingent, while all else that exists have some sort of originations and causes and are contingent (i.e. not having independent intrinsic/inherent permanent existence). In other words, God is the only UnConditioned, while all else is Conditioned. It is on the basis of a deeper reflection on the anthropomorphism, analogies and metaphors used in the bible that Christian theologians went further to describe the Mysterious God in those terms not used in the bible. (hence this go beyond the simplistic projection of God as a super-human which limits God to those concepts that are merely an extension and projection of human characteristic and human capabilities). Of course , for Christian theologians, this UnConditioned, un-caused Cause, is not just impersonal but also have a personal dimension to it. The above Christian theologians' understanding of God is not base on linguistic befuddlement but upon a deeper reflection which is consistent with the descriptions in the bible. Those descriptions in the bible are seen not as accurate descriptions but as POINTERS towards a rough PARTIAL understanding of a Mysterious Ultimate Reality. 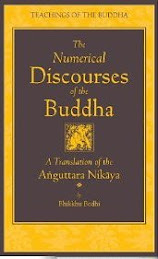 Generally, Buddhists do not treat the Ultimate Reality as having a personal/conscious/intelligent dimension (but I guess Buddhist thinkers would recognize that the Buddhist description of the Buddhist Ultiamte Reality does not describe the Ultimate Reality in full and there is still a large part of the Ultimate Reality that remains a mystery until one becomes a Buddha to be able to fully comprehend the Ultimate Reality, but even so, a Buddha would still not be able to describe it accurately and fully in human language/concepts due to the intrinsic limitations of human language/concepts). It is not impossible for this great Mystery to possess a personal/intelligent/conscious dimension in addition to the other impersonal descriptions of it. If indeed, in the real Ultimate Reality, there is a personal/intelligent/conscious dimension to it, it seems to be able to fit into the Buddhist worldview without much difficulty (i.e. apparently there is NO INTRINSIC contradiction between such a conscious/intelligent/personal Ultimate Reality and the Buddhist worldview). Thus, if one were to look at theologians understanding of God as Ultimate Reality in terms of the non-Contingent, the Uncaused-Cause, the Ground of Being, it is not that far from the Unconditioned, UnCreated, UnBorn, UnOriginated mentioned by Gotama Buddha. The question is whether this Mysterious Ultimate Reality includes a dimension of personal-ness/consciousness/intelligence. Regarding what u said in your post that "God is a divine creator with three natures...if they believe in him and his Son, will save them from eternal damnation"
When scholars (including evangelcial ones) do a historical-critical approach, it can be seen that Jesus' mission and self-understanding is not about saving humanity from eternal damnation or hell. Also, if we rely on the Sypnotic Gospels (which are much earlier than the "Gospel of John"), it is not about "those who do not believe in God are damned". In fact, in the Gospel of Matthew, we see that many of those who believe in Jesus, even those who performed many miracles in Jesus' name, could be rejected by God. But those who "visit the prisoners, feed the hungry" and so on are the ones accepted by God in the end. The Gospel of John is clearly written in a way where the unknown author places words in Jesus mouth. Many lay-Christians failed to take a historical-critical reading of John's Gospel, and take those "believe or be damned" text too simplistically. I wonder if Shravasthi Dhammika will look back at the previous posts and comments, being busy with the latest one and the coming one. But any idea that the Buddha may have omitted the personal aspect of the Unborn...etc - contradicts his Teaching. The Buddha clearly stated that even Nirvana is anatta. But generally, as Aaron reminded us of the arrow simile, the Buddha did not go into phylosophical and theological ruminations about the origin and destiny of the Universe. Though somewhere he spoke about cyclical natute of the Universe (Sansaric) existence, which excludes the need in any Creator. And one more thing. For a Christian theologist That Uncaused Cause is external to humans. 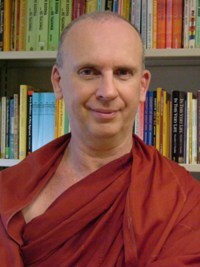 While in Buddhism it is the real core of our own being? hidden form us by our Ignorance. Hence the need to look inside, which is what Jesus understood - according to St.Thomas. 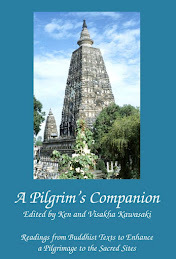 It is about Nibbana . Not about CREATOR GOD..